First of all, the voice of Richard Armitage alone makes this book a must for romance lovers! That being said, what makes this book really special is the way the descriptions engage the senses, particularly those of scent and taste. I really felt like I was in Paris falling in love as I listened. The story had sweetness balanced by poignant moments and moments of unbridled desire. It was a sensuous journey about adventures grand and intimate, living life to the fullest, and the reasons we make the choices we make. Enjoy! My Very Favorite Lisa Kleypas Novel (So Far)! Even though it's not part of my two favorite series by this author (The Hathaways and The Wallflowers), this is my very favorite Lisa Kleypas book. That is saying a lot, since I have 24 of her historical romance novels in my audible library. This one is permanently downloaded on my device, and I have listened to many favorite scenes over and over until I practically have them memorized. What's so special about this book? It's partly the witty dialogue and outrageous situations that make me laugh. Most of all, I love the hero and heroine. Both are flawed human beings who are stubborn and vulnerable. Each is haunted by a painful event in the past and needs the other's help to overcome the effects of that event. The story is hilarious and touching, and the hero is both strong-willed and tender. Rosalyn Landor's narration is perfection, capturing the comedy and the pathos of the main characters' lives while giving all the supporting characters interesting, defined voices as well. If you want a historical romance with somewhat unconventional characters that runs the gamut of human emotions, then this is the book for you. I hope you enjoy it as much as I do! Great Thrill Ride, Next Book Please! 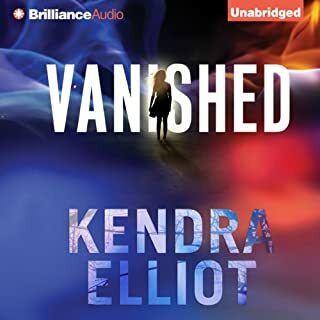 Would you consider the audio edition of Vanished to be better than the print version? Yes. The two narrators really enhanced my enjoyment of the book as they voiced the shifting points of view of the two main characters. I liked that the detective and FBI agent were more developed than a lot of heroes and heroines in thrillers. They had interesting family histories. Have you listened to any of Nick Podehl and Amy McFadden ’s other performances before? How does this one compare? I don't know. I've listened to a lot of audiobooks. These narrators were excellent. Yes, but I won't give it away. I can't wait to listen to the next book in the series! 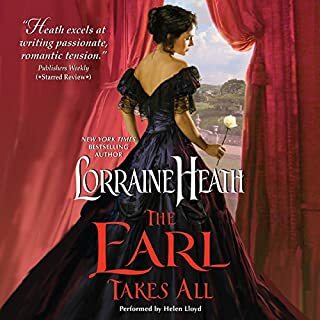 I love the intense, sometimes heart wrenching, emotions in Lorraine Heath's books. Although I could predict a lot of what would happen in this story, I didn't know how it would happen, and I relished hearing the story unfold. Helen Lloyd's narration suits perfectly. I really enjoy visiting with familiar characters from other Heath books, and I can't wait for the next in this series! Sparks fly from the moment these two headstrong characters meet. I love the word play, eccentric characters, and gentle humor in this book. The narrator's understated delivery is spot on. A comedy of manners with sexually tense "battle" scenes reminiscent of The Taming of the Shrew. A bit of a slow start, but stick with it. Great fun! This book has all the elements that made this series great in the first place-suspense, romance, relationships, humor. 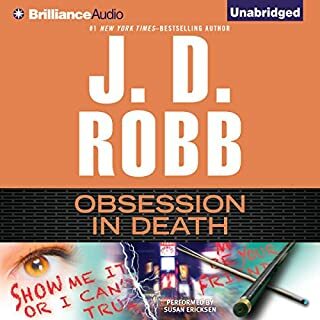 J. D. Robb's got her groove back! Narration is superb! Personal trainer Trey Ziegler was in peak physical condition. If you didn't count the kitchen knife in his well-toned chest. Lieutenant Eve Dallas soon discovers a lineup of women who'd been loved and left by the narcissistic gym rat. While Dallas sorts through the list of Ziegler's enemies, she's also dealing with her Christmas shopping list - plus the guest list for her and her billionaire husband's upcoming holiday bash. 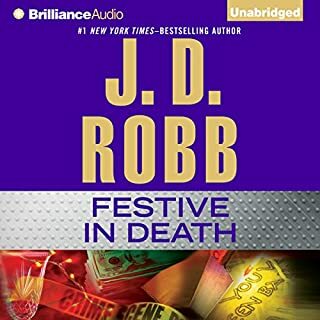 Spend the holidays with Eve and Roarke's extended family! I love this series and this is a great addition to it. There is a nice balance between the murder mystery and the private lives of all the characters we have come to know and love. I really enjoyed listening to this one during the Christmas season as it had less graphic violence than some of the others and plenty of warm, romantic moments. As always, Susan Ericksen rocks! 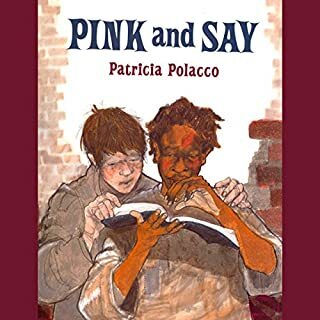 Drawing from the rich store of Civil War reminiscences handed down in her family, acclaimed author Patricia Polacco tells the true story of a remarkable wartime friendship between a young white Union soldier, Say Curtis, and a young black Union soldier, Pinkus Aylee. They are captured by Confederate soldiers and sent to Andersonville Prison. Beautiful! Get the tissues ready! This true story is beautifully told. What was one of the most memorable moments of Pink and Say? It made the Civil War more personal for my students. What does Melba Sibrel and Hal Hollings bring to the story that you wouldn’t experience if you just read the book? I only gave the reading 4 stars because I thought Hollings could have varied his voice more for the different characters. The story was quite moving, even for my "tough" fifth-graders who usually don't want to share a lot of vulnerable feelings.